The Holy Grail War. A great ritual that materializes the greatest holy artifact, the Holy Grail. There are two conditions to participate in this ritual: to be a magus, and to be a “Master” chosen by the Holy Grail. There are seven chosen Masters, and seven classes of Servants; beings akin to superhumans with incredible fighting abilities. There is only one Holy Grail. If you wish for a miracle, prove that you are the strongest with your powers. 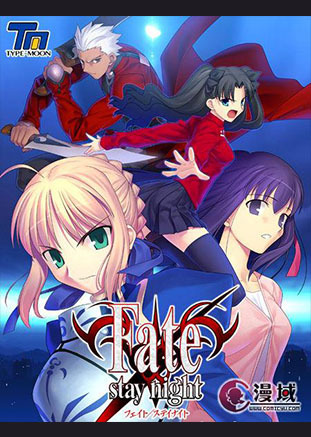 Emiya Shirou is a high school student who has learned rudimentary magic from his father and uses it to fix objects. 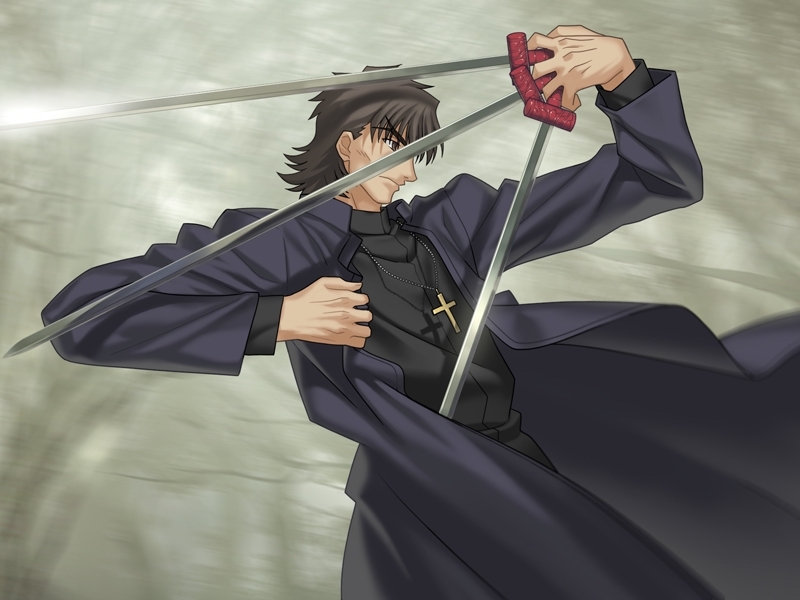 He finds himself engaged in the Holy Grail war as he gets attacked by a Servant. 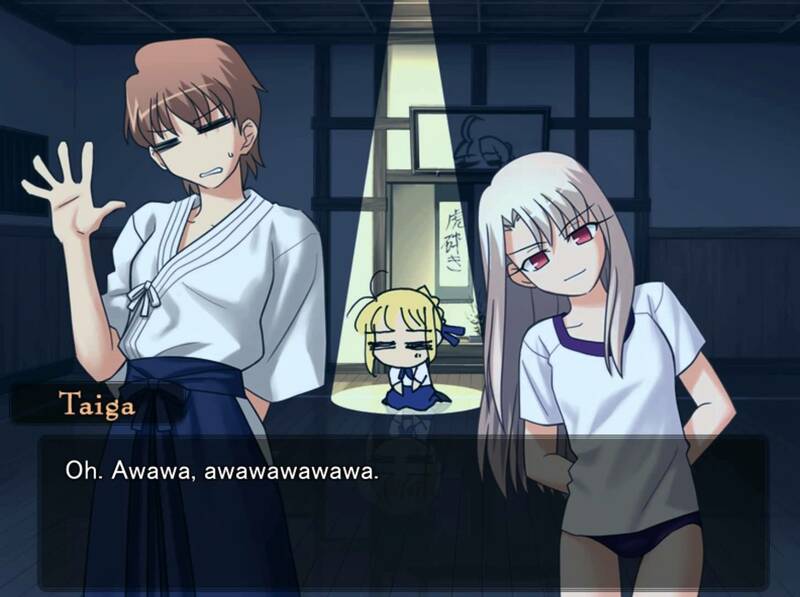 As he gets cornered, he somehow summons his own Servant and manages to stay alive long enough to compete against the other Masters. 1. Copy the folder “faterealtanua_savedata” inside "Patches" to My Documents (C:Users*your user*Documents), if there is one already delete its contents and replace it. 2. Install optional patches by simply copying the provided .xp3 files (not the folders) inside "Patches" into "faterealtanua_savedata"(such has H-Scenes Patch). 3. The game is divided in three story arcs, each with it's own executable file, simply choose the arc you want to play first and start. 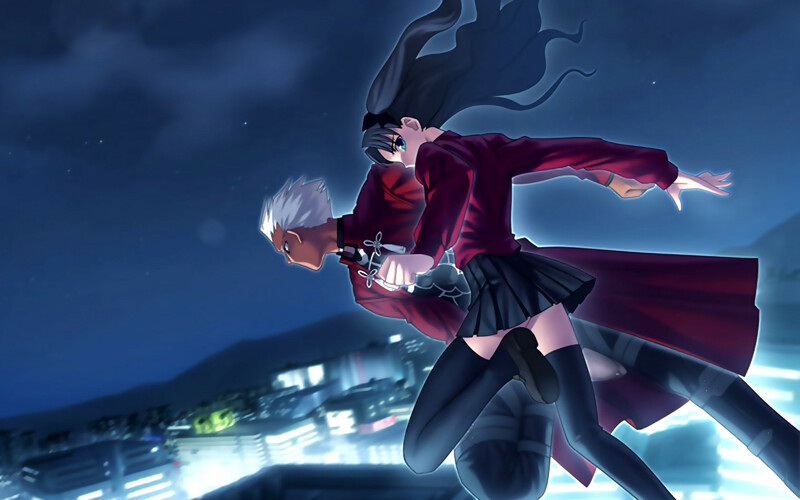 -Fate-, -Unlimited Blade Works-, -Heaven’s Feel- (This is the cannon order, you can play however you want, not recommended). Note: Use the provided readme for a more detailed installation if you need, flowchart also provided has a pdf, the game doesn't require changing system to Japanese, the optional patches are optional and they do what the name say, example Vita OST Patch adds the soundtrack to the Vitas version. Troubleshooting: If you get this error message "EAccessViolation", the problem is with your hardware, not the patch. The solution is for the user to install the latest LAV filters. Found here https://github.com/Nevcairiel/LAVFilters/releases/download/0.62/LAVFilters-0.62-Installer.exe or installing video codec packs such has K-Lite and VLC which install LAV filters. FateDisc 1 and 2 worked fine, but when i try to mount FateDisc3 it says file type unsuported? What am i doing wrong?